The Single European Sky ATM Research programme (SESAR) is a major public-private cross-industry initiative. It brings together the aviation industry to develop new technologies and solutions that will improve the way Europe’s airspace is managed and oversee their implementation. The SESAR Joint Undertaking is a collaborative programme of research and innovation designed to develop, test and validate concepts and technologies that will help modernize Europe’s air traffic management system. NATS is a full member and an active contributor to the SESAR Joint Undertaking, a major European research and innovation programme established to help modernise Europe’s airspace. NATS is a full member of the SESAR Joint Undertaking; we lead Work Package 5, which focuses on concepts and technologies for the Terminal Manoeuvring Area (TMA) and play an active role in a number of other projects and activities. Our work in SESAR projects is yielding benefits for customers. NATS work in the SESAR Extended Arrival Manager project led directly to operational trials of Heathrow XMAN (Cross-border arrivals management), whereby neighbouring ANSPs slow down Heathrow arrivals at around 350nm when delay of 7 minutes or greater is predicted, delivering significant fuel, cost and environmental savings to customers. Work carried out in one of SESAR’s airports package in which NATS was involved helped develop the concept of Time-Based Separation, whereby aircraft are separated by time instead of distance. This significantly improves resilience in strong headwind conditions. NATS has built on that initial R&D and, in partnership with Lockheed Martin, developed a TBS solution which has been deployed at Heathrow, helping to maintain landing rates in strong headwind conditions. TBS at Heathrow is expected to save 80,000 minutes of delay per year at the World’s busiest dual-runway airport. Learn more about the SESAR Joint Undertaking. 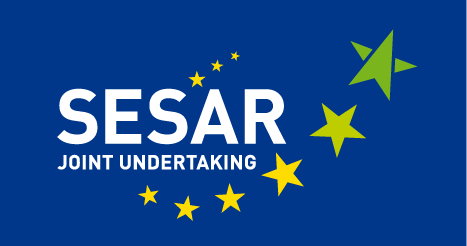 SESAR is currently moving into its third and final phase – ‘deployment’ – whereby the concepts and technologies developed through the SESAR Joint Undertaking are introduced into operation across Europe. The European Commission appointed the SESAR Deployment Alliance to the role of SESAR Deployment Manager in December 2014. The SESAR Deployment Manager is a unique cross-industry collaboration between ANSPs, airlines and airports. The SESAR (Single European Sky ATM Research) Deployment Alliance is an unprecedented cross industry partnership made up of four airline groups, operators of 25 airports and 11 air traffic control providers, including NATS. The SESAR Deployment Manager will ensure that new technologies and solutions that have already been tested and validated through the SESAR Joint Undertaking are delivered into everyday operations across Europe, delivering significant benefits to airspace users and the environment. It is responsible for coordinating and synchronising upgrades to the continent’s air traffic management infrastructure and overseeing more than €2.5bn of European funding to support this. An introduction to the SESAR Deployment Manager.